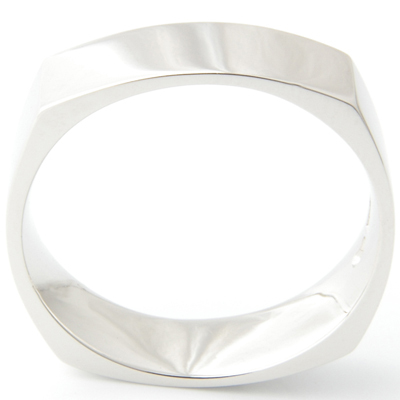 Gents Platinum Four Sided Wedding Ring — Form Bespoke Jewellers Ltd.
With is unique shape, this four sided wedding ring is 6 mm in width. But as a bespoke jewellers we could make it slimmer or wider to suit your individual requirements. In fact, we can create virtually any shape of wedding ring for you here at Form Bespoke Jewellers. All you have to do is ask. We highly polished this wedding ring but we think it could also work well with a brushed or satin finish. Similarly, another stylish twist would be to cast the ring in 18 carat white, yellow or rose gold, or palladium. The choice is yours!